‘Graphic’ is a household word in this digital-dependent era. Obviously so, many words come along with it: graphic design and graphic art to name a few. Lakmal Thevarapperuma is a Middle East based graphic artist, who wants us not to confuse these words. There’s a clear gap between graphic art and graphic design, he said while his graphic art exhibition was being held recently. Simply put, a graphic artist is a painter, and he is posted in a workstation sketchpad. He should have the software knowledge to operate his familiar field. When Lakmal had to select an aesthetic subject at school he just took Art because he had been used to drawing since childhood. This is about 15 years ago, and he has been studying the subject throughout, mostly on his own. 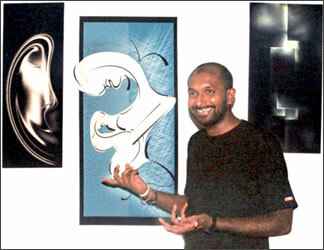 As Lakmal adds, graphic art is still a novel concept in Sri Lanka. Lakmal’s favourite medium is Abstract painting on his digital sketchpad. He believes an artist gets more freedom of expression in abstract. He had to drop Art when he had to follow A/Ls in the Commerce stream. “But soon after A/Ls, I came back to my childhood favourite,” Lakmal grins and recollects a bitter experience. The veterans have the feeling that an artist should paint manually and the computer destroys a natural talent. “They think, I am using technology because I can’t do it manually. I am totally familiar with manual painting. What I wanted to do was to experience this new medium. Anybody trying a new field, should be familiar with the old techniques as well. Actually the word ‘graphic art’ itself is wrong. It should be digital art. We paint digitally. “However, since the correct term might sound more unfamiliar, Lakmal decided to have the more familiar term. 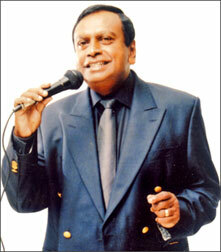 After the tremendous success of the earlier “Sing-Along Nites” in 2005 with Priya Peiris and in 2006 with Sam the Man, Old Thomians’ Swimming Club (OTSC) will hold its third “Sing Along Nite” this time with the popular pop singer Annesley Malawana, backed by his band “Super Chimes” at the OTSC Club House premises on June 21 from 8 to 11 p.m.
All time favourites, Sinhala pop hits of 70’s sung by “Moonstones” and “Super Golden Chimes” will be sung by Annesley along with some of the popular English oldies. OTSC member Brian Thomas will be the compere. There will be an entrance ticket draw with prizes. Food stall will be available for diners and a welcome drink will be served free of charge. Its open to all members, their families and guests, says the social secretary of the OTSC Tusita de Alwis who is the chief organiser of the event. The Sumathi awards have been synonymous with recognising and felicitating the talented names in the Sri Lankan cinema industry. Running for the 13th consecutive year, the Sumathi awards have been a name that has brought pride and honour to little known faces and turning them into celebrities. An extravagant night of celebration and glamour will spark off at the Sumathi awards which will be held at the BMICH on June 14 to accommodate a massive audience. 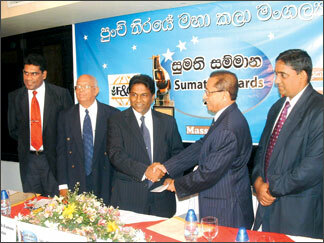 At a press briefing to announce the awards night, head of the Sumathi Group, Thilanga Sumathipala said “We are happy to bring the annual Sumathi awards yet again because we believe in setting a standard of judging the best in the cinema industry in Sri Lanka”. He mentioned “We have received over 200 entries this time around which proves how the Sumathi awards have been a foremost platform for Sri Lankan stars to shine, taking them forward in their cinema careers”. He said that by offering better productions and a good variety for cinema viewers will only develop and take the cinema industry forward. The event director A.D. Ranjith Kumar, a veteran cinema patron said “We have added a new category to the awards this year with the ‘Video Music’ award revealed for the first time”. He said that it is aimed at recognising the youth for their creativity especially with regard to the latest trend of music videos that is commonplace nowadays. “We have received over 150 entries for this category alone showing how much the interest is there from the younger generation” he added. “We are pleased to help uplift the Sri Lankan cinema industry by assisting the Sumathi awards”, said Mervin Jayasinghe Deputy Chairman of F&G group who are the Gold sponsors of the event. He highlighted that the F&G group will be dedicated to helping those in the Sri Lankan cinema industry by being the Gold sponsors for the Sumathi awards to three consecutive years commencing from 2008. Together with these collaborative efforts, the Sumathi awards will be a glittery affair that will be memorable and exciting. The Goethe Institute in collaboration with The Italian Embassy in Colombo will present "Buongiorno Italia"(Mille Soya) at the Goethe Hall, German Cultural Center on June 4 at 5.30 p.m.
Film Forum will be conducted by film-maker Boodee Keerthisena. To watch the theatrical trailer please visit http:// www.boodeekeerthisena.com/ www.boodeekeerthi-sena.com and go to multimedia gallery and click on Mille Soya thumbnail. 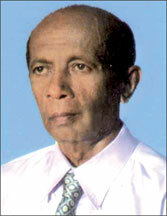 The film was produced in Sri Lanka and Italy in 2002. It is based on a group of young Sri Lankan musicians illegally migrating to Italy in the baggage compartment of a bus. It articulates the lost dreams of Sri Lankan youth who are caught between a civil war and corrupt politics, and follows them through their journey into hope. Seats available on first come first served basis! 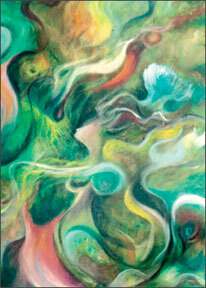 “Vision”, an exhibition of paintings by Thilak Perera will be held at Alliance Francaise de Kandy from June 7 to13, 9 a.m. to 6 p.m. 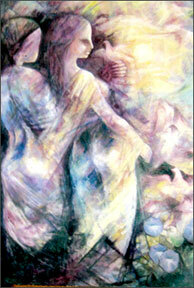 The exhibition will be declared open by John and Judith Smith on June 6 at 6.30 p.m.
Premasiri Mahingoda’s latest literary work, Dasa Dina will be launched at Dayawansa Jayakody Book Exhibition Hall, Colombo 10 on June 3 at 10 a.m. Dasa Dina is the authentic Sinhala translation of Giovanni Boccaccio’s “Decameron”. Although many of the stories are based on sexuality, Boccaccio satirises men leading dual lives, male dominance and discrimination of women. The Tele Makers Guild had organised a discussion based on issues related to the teledrama industry at the auditorium of the Public Library, Colombo, on June 5 at 3 p.m. The main focus will be on the recently evolved trend of mega teledramas, The guild requests the presence of all those who are linked with the field.